It may not yet have the cachet of the Consumer Electronics Showcase (CES) in Las Vegas, but the annual Mobile World Congress (MWC) in Barcelona, Spain is fast becoming the place for the world’s smartphone and mobile device manufacturers to make their key product announcements. If you missed our coverage this week, here’s a recap of the key news from this year’s show. The smartphone galaxy got a little larger as Samsung Electronics launched its new Galaxy S6 and Galaxy S6 edge smartphones, and unveiled a new mobile payments solution, Samsung Pay. 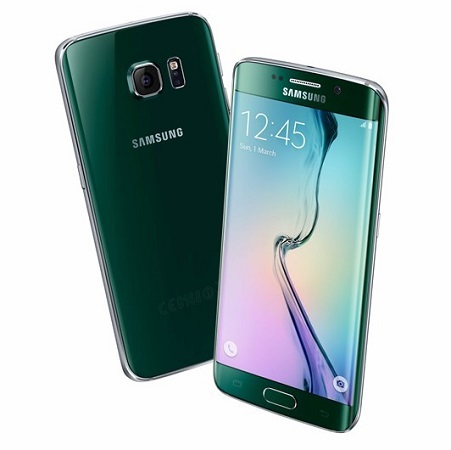 The Galaxy S6 edge features a curved display on both sides, with a glass body made from Corning Gorilla Glass 4 in an array of jewel tones. Both smartphones also feature a new and lighter user interface. 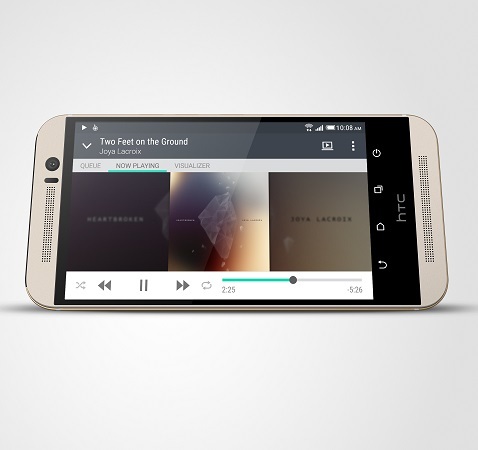 HTC Corp. didn’t waste any time in showing off its new HTC One M9. Those familiar with last year’s One M8 smartphone will have to look twice to try and spot the differences between it and this new device. Most of the significant changes come under the hood with an incremental bump on the specs for this smartphone. 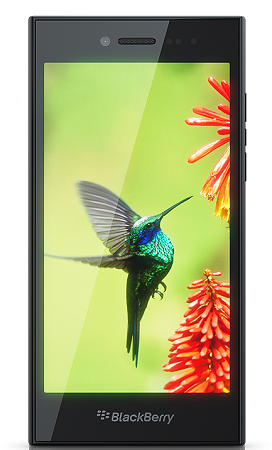 There’s a faster SnapDragon 810 CPU with 64-bit support, 3 GB of RAM, and a faster graphics processor in the Adreno 430. 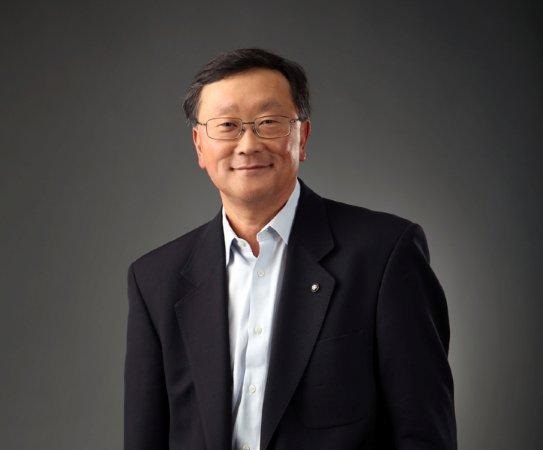 CEO John Chen is aiming to expand BlackBerry’s enterprise mobile management (EMM) business into the small and medium size business realm by launching a cloud version of the BES12 technology, which designed to manage mobile devices running iOS, Android, BlackBerry and Windows operating systems. BES12 Cloud is geared towards enterprises looking to manage mobile devices, protect their corporate data and enable employee productivity. That wasn’t all for BlackBerry. The vendor opened up its productivity and security software and solutions to other mobile platforms, while also reaffirming its commitment to the handset market by launching a new smartphone. BlackBerry Experience Suite will make BlackBerry’s productivity, communication, collaboration and security solutions available for purchase and use on iOS, Android, and Windows devices. The new smatphone, the BlackBerry Leap, is an all-touch model with a 5” HD display. 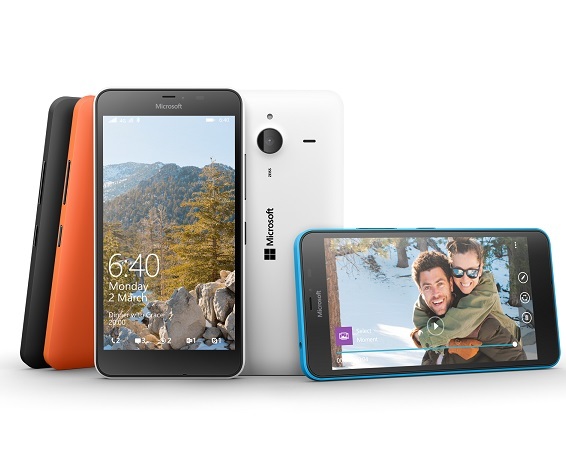 Microsoft Corp. hopes to entice mobile phone users to its new Lumia 640 and the larger phablet, Lumia 640 XL with a one-year free subscription to Microsoft Office 365. Both products will ship with Windows 8.1 and they can be ungraded to Windows 10. The 5″ 640 and the 5.7″ 640 XL will be available in either 3G or LTE connectivity. The handsets will be available in black, white, orange and cyan and can come with either single and dual SIM. 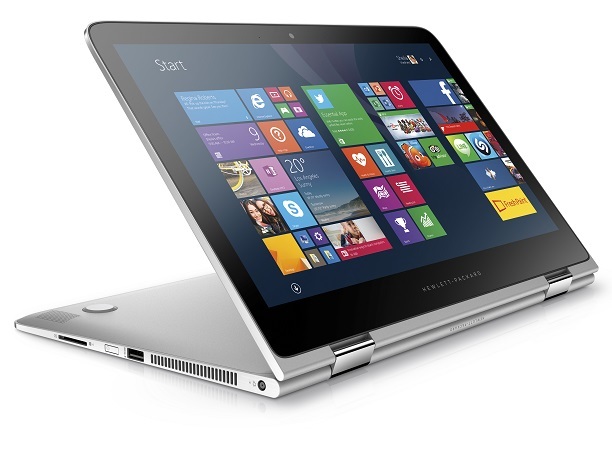 After listening carefully to what customers are looking for in a premium laptop, Hewlett-Packard Co. used MWC to launch the HP Spectre x360, a 13.3” convertible PC that combines performance with an ultra-thin design. It’s a convertible with an all CNC aluminum chassis that is 15.9 millimeters in height and weighs 3.3 pounds. It can transition between notebook mode for work, stand mode for viewing entertainment, tent mode for touchscreen entertainment and tablet mode for on the go usage. It wasn’t all about new toys at MWC. Big data is a great opportunity for companies to leverage for business and marketing decisions, and mobile carriers are sitting on a gold mine of subscriber data, but leveraging that data has been a challenge. 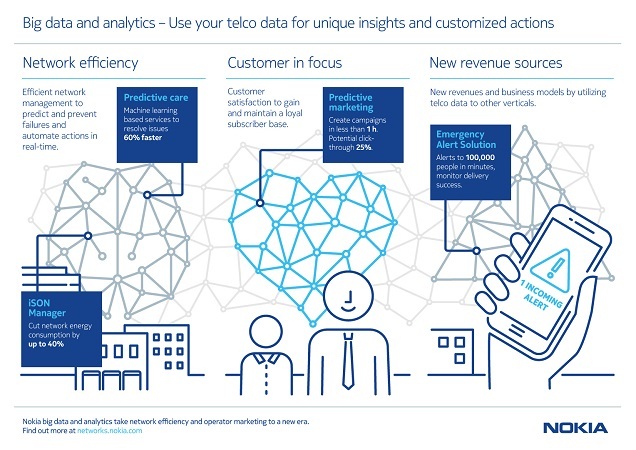 Nokia hopes to change that by adding predictive marketing to its Customer Experience Management offering. 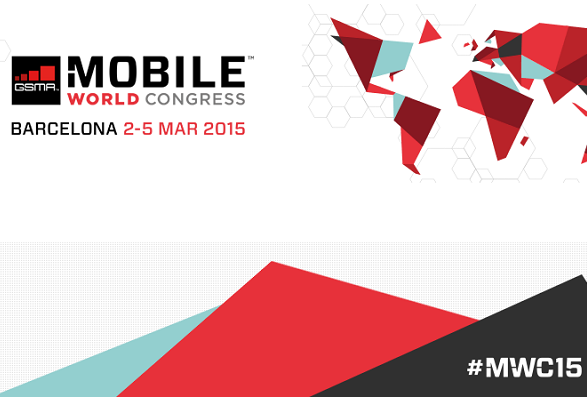 Want to compare the latest smartphones from MWC 2015 with our picks for the top smartphones for business in 2014? 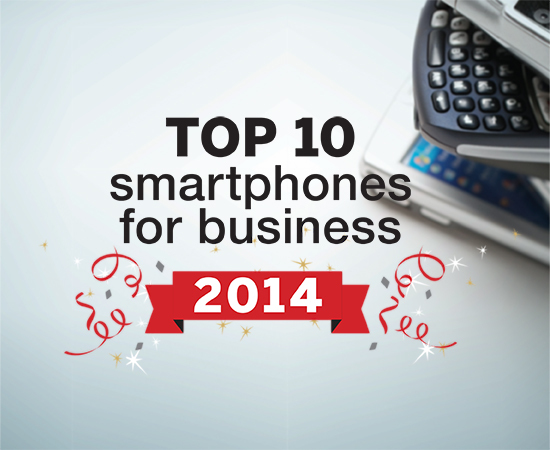 Click below for our top smartphones for business slideshow, where we go in depth on each of the year’s top smartphone models.